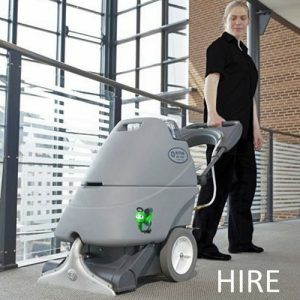 With the Hako City Master 90 Refurbished Diesel Ride-on Vacuum Sweeper you can ensure quick, economical cleanliness , all whilst seated comfortably. 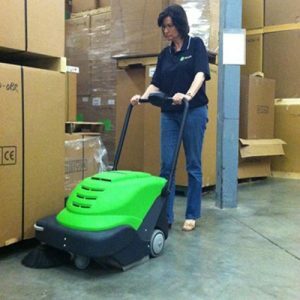 Even in restricted applications this machine is in its element and in such areas it shows all its power and efficiency. 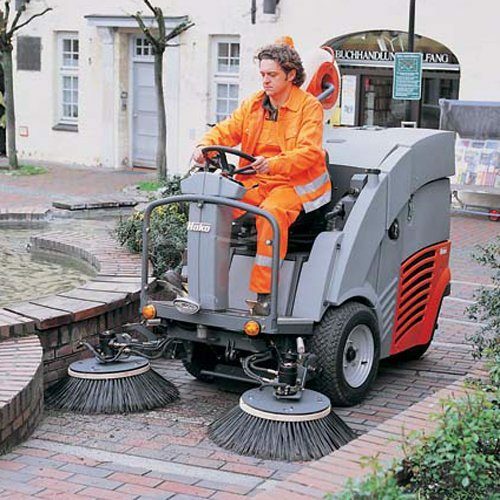 – Considerably larger sweeping performance when compared with manually operated machines thanks to the higher working speed as well as larger sweeping width. – Only driving licence class L required, no MOT equivalent examination,or motor vehicle tax. – The modern, ergonomically optimised workplace guarantees fatigue-free operation. – All operating elements are within direct reach and view. As a result of the excellent view of the large plate brushes and the suction mouth, trouble free operation is guaranteed every time . – Low specific ground pressure, which protects floor surface thanks to the large low-pressure tyres and low unladen weight. 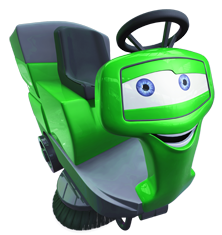 – Highly manoeuvrable: as the result of a new type of hydraulic rear wheel steering the Hako City Master 90 Refurbished Diesel Ride-on Vacuum Sweeper has an extremely small turning circle . – Brush revolutions and pressure can be adjusted separately. The dirt hopper (volume 120 l) can be emptied via hydraulic high dump directly into standard containers or rubbish bins, all this is carried out at the flick of a wrist. 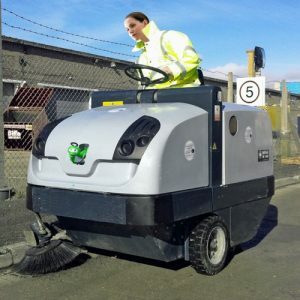 With a climbing ability of 20% the Hako Citymaster 90 ensures an excellent level of cleanliness even in underground car parks or multi-storey car parks.